Provide comfort for the family of Lena Marchase with a meaningful gesture of sympathy. 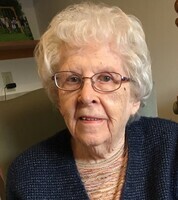 AVON - January 1, 2019 at age 90. She is survived by her children Mary (Warren) Thomas of Rush, Michael Marchase (Diane McSheehy) of CO, Andrew Marchase of CO; sisters Jane (Earl) Dunn, Carol (Thomas) Kelly; Brother Alan (Anita) Roggenbaum; sister-in-law Josephine Cappotelli; grandchildren Tommy (Julie) Thomas, Cory (Holly) Thomas, Katelyn Marchase, Megan Marchase; great grandchildren Sam, Zachary, Hayleigh, Kayla, Brett, Keira; dear friend Robert Lyeth; several nieces and nephews. Lena was predeceased by her husband Angelo V. “Mark” Marchase. Lena was an active member of the Avon Lioness for many years of which she was a Charter Member.